Services include measurements during run up and coast down, and steady state operations for severity assessment and diagnostics for root causes. Steady state vibration analysis include FFT spectrum, time waveform analysis and orbits. Advanced signal processing using wavelet and higher spectral order analysis are available. Transient analysis includes bode and cascade plotted against speed, load, pressure and other process dependent parameters. We extensively use Operational Deflection Shapes (ODS) to provide an insight to the dynamic behaviour of the machine train. We undertake machinery diagnostics services for large turbo‐generator sets, gas and steam turbines, centrifugal and reciprocating compressors, pumps, hydro‐turbines, industrial fans and air handling units. We have successfully diagnosed resonance, cracked shaft, rubs, soft foot, flow induced vibrations, generator problems in addition to common faults of unbalance and misalignment. Analytical services include real rotor response calculations for rotor bearing systems, critical speeds, mode shapes and unbalance rotor response. Machinery vibrations are usually compounded with structural supports, machine skid vibration problems and piping system resonance. Vibration investigations for root causes of recurring machinery failures require measurements of the supporting structure and piping systems. This shall include run up and coast downs transient analysis, as well as bump tests during plant shutdowns to determine natural frequencies of the entire machine structural support and piping systems. We offer comprehensive machine structure and piping system investigations using multi‐channels measurements for large system. Post processing include Operational Deflection Shapes analysis. The investigations often include finite element analysis of the piping systems and machine skid. Such an approach is often necessary in solving design and operations embedded faults. 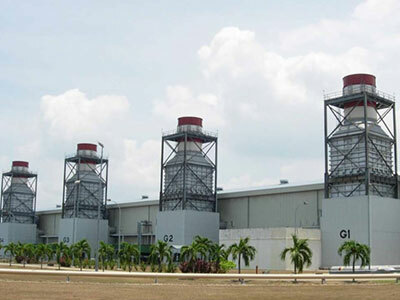 Our experience include entire 500 MW steam turbo‐ generator sets that includes the machine train, turbine island, steam pipes, condenser and other connected seawater cooling water pipes. We also have extensive experience for reciprocating compressors and gas piping systems in offshore installations. ODS model of 500 MW steam turbo‐generator train, support structure, condenser, steam pipes, Kapar TNB. MEP (mechanical, electrical and plumbing) equipment associated with building systems and industrial processes are often some of the major sources of noise and vibration in a building or a plant. Adequate and the least costly noise and vibration control is best achieved when addressed during design stage of a project. Services undertaken includes analysis, design, specifying and selection of devices and other measures on keeping unwanted noise and vibration from building systems and equipment out of spaces to match design criteria of the space. This also include site inspections to ensure correct installation and final check out tests. We also undertake assessment, investigation and recommendations for remedial solutions of excessive noise & vibration from MEP equipment and plant rooms. Noise & Vibration Harshness (NVH) are important requirements in vehicles (cars, trucks, buses, tractors) with increasing expectation of consumers for quieter and smoother rides under all road conditions. We undertake measurements for severity assessment of vehicles, investigations to determine root causes of excessive NVH, and formulation of remedial solutions. We also assist vehicles manufacturers in their design development, trouble shooting of NVH complaints in specific models, and ride comfort NVH improvements. Our analysis are based on finite element analysis to obtain dynamic response of the vehicle structure (body in white) and vibro-acoustics for determination of cabin noise using statistical energy analysis(SEA). The analysis are also supported by measurements done in‐house at the manufacturers’ facilities. Our experience included some of Proton (including UK export model) and container haulage trucks (“tractors”). Services offered are setting up of condition monitoring programmes, selection of monitoring technologies and baseline measurements. We provide call up services to supplement the Plant’s condition monitoring programme with vibration measurements based advanced signal processing in additional to conventional FFT spectral analysis. We have developed and published improved methods using time gated wavelet analysis for detection and diagnosis of rubs and looseness in blades (typically in gas and steam turbine and compressors) and higher order spectral analysis for detection of faults with non‐linearity. This enable resonance to be differentiated in a vibration system without the need for a plant shut down. Our involvement in investigations and structural integrity assessment of large scale engineering structures in oil & gas industries as well as buildings required us to develop, install and use structural monitoring systems over extended duration. We develop, supply, install and manage structural health monitoring systems for engineering structures and buildings. 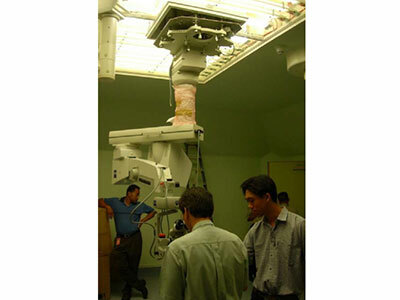 Structural health monitoring system is used to automatically measure, trend and assess dynamic parameters (acceleration, displacements, strain, acoustic emissions) and other static parameters (inclination, etc.). The system can be used to correlate load and process operations affecting the long term integrity of the structure. Structural health monitoring is increasingly necessary in the oil & gas industry as structures are approaching design life and/or having to operate with increased loading due to increased production. Structural health monitoring should be used as an integral monitoring tool in life extension utilisation of engineering facilities. Services include measurements, vibration severity and structural integrity assessment of large engineering structures and buildings. Determination of ambient and forced vibrations response, natural frequencies and mode shapes. Operational Deflection Shapes (ODS) measurements involving large scale phase matched measurements on a large scale basis under different loading conditions. Experimental and numerical modal analysis. Finite element analysis of structure validated against vibration measurements for extraction of stress pro‐ files in structure for structure life assessment. We undertake assessment of all types of ground borne vibrations and performance based seismic evaluation of buildings, bridges , industrial, petrochemical and offshore facilities. Using state of art numerical simulation tools we assess seismic performance by examining non‐linear dynamic response of the structure and its foundation together. We also design seismic vibration protection technology such as base isolators and energy absorbing devices as retro‐fit and new buildings and structures. 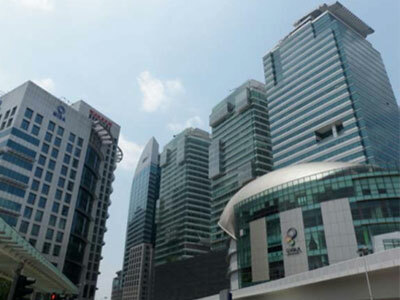 We have undertaken vibration acceleration monitoring of dynamic response of buildings in the Klang Valley over long term durations that captured seismic excitation from earthquakes in Sumatra. Such data can be used for validations of numerical simulation and structural integrity assessment of buildings and structures for seismic events. The Seismic Earthquake Engineering Research (SEER) Research Group of the Institute is highly regarded in the region for seismic analysis and risk evaluation. Earthquake engineering is becoming an issue of increasing concern In the region with increasing seismic activities. The Institute brings to the industry multi‐disciplinary expertise in seismic engineering, dynamic analysis, structural integrity assessment and vibration control. We undertake seismic hazard assessment, seismic structural vulnerability and structural seismic health monitoring, earthquake engineering, seismology, earthquake resistant design and earthquake fault mechanism studies. Our experience included undertaking seismic hazard analysis of peninsula Malaysia for structural design purpose for CIDB (Construction Industry Development Board). We undertake wind engineering analysis to determine structural loading and wind‐induced dynamic response for buildings, towers and other tall structures. We also use Computational Fluid Dynamic (CFD) analysis to supplement wind tunnel testing studies to visualise wind flow around buildings. Our dynamic analysis of building response are based on 3‐D non linear analysis for different wind speeds and UBC profiles. Results of the dynamic response can be used for assessment of human response of wind‐induced motions. The London Millennium bridge excessive lateral vibrations (wobbling) during opening day brought into focus concerns of human induced vibrations in foot bridges. Similar concerns occur with stadium and terraces of halls with long spans due to crowd synchronized excitation. Of particular concern are any structures with natural frequencies below 5 Hz (BS 5400 Part 2). We undertake dynamic analysis to determine natural frequencies and dynamic acceleration response to synchronized human footfalls for assessment in accordance to BS 5400 Part 2, Euro‐ code 4 and BS EN 1990:2002. We design solutions that generate high level of damping using viscous dampers and also de‐tune natural frequencies of the structure with tuned mass dampers. We also assist Structural Engineers in their re‐design of the building structures to increase structural rigidity thereby increasing the fundamental natural frequencies of long span floors. Our involvements involved input during design as well as situations during construction where it was apparent that a human induced vibration problem exists. Our analysis and design solutions are validated with testing during construction and during usage. Reduction of vibration and noise often requires vibration isolation and/or damping. Vibration isolation and dampers are required in diverse applications ranging from structural integrity, human sensitivity and to ensure ultra‐low ambient vibrations for vibration sensitive equipment in electronics and micro‐surgery medical facilities. We undertake analysis and design of isolators and dampers, including tuned mass dampers. The design and optimisation based on multi‐DOF transmissibility analysis as well as FEA. Our experience included air mounts for laboratories, industrial facilities and theme park rides (motion simulators), tuned mass dampers for bridges and machines, and electronics and medical microscopes. We are acknowledged by all government agencies (Dept. of Environment, Malaysian Highway Authority, City Halls, etc.) and the Industry as the leading environmental noise expert in the country. With the DOE, we set benchmarks and best practices for noise measurements, modeling and assessment in the country. We offer comprehensive services in all areas of environmental and industrial noise. The services include measurements, monitoring, investigations, analysis and detailed design for noise control, specifications and site assistance for noise control works. 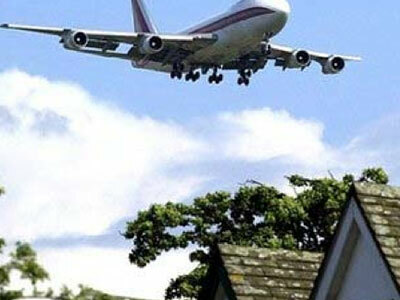 Aircraft noise is an example of environmental noise concern in residential and hotels development. The Institute has key personnel registered with DOE as Subject Specialist for Environmental Impact Assessment (EIA). Power station located adjacent residential land use is a particular concern. Services ranged from measurements for in plant and environmental noise for occupational safety assessment and community annoyance to detailed analysis and design for noise control. We also undertake site investigations to determine severity and causes of excessive or non‐compliance noise emissions. Our analysis include 3‐D noise modeling of the entire industrial plant or area of concern, with noise sources to represent the plant under existing conditions and thereatier with mitigation options. We use state or the art industrial noise modeling software (Cadyna‐A) as well as our own in‐house developed noise calculation software for specific applications. Our experience include identification and modeling for low frequency sound and airborne sound induced vibrations from industrial facilities. From left to right: Petronas petrochemical complex in Kertih | Gas compression package, Sarawak offshore platform with noise levels >85 dBA. All new highways development and highway expansion projects in Malaysia require a Detailed Noise Study, and where noise mitigation is required, a Design Brief for Noise Barriers. The Institute is the country’s leading expert in highway noise, and is highly regarded by the Malaysian Highway Authority (LLM). The noise study and detailed design of noise barriers are undertaken using Cadyna‐A software. Noise are calculated with considerations of highway design parameters including vehicle speed, traffic volume and mix, gradients, etc., pavement type as well as shielding and reflections for outdoor noise propagation. Noise are calculated without and with variations in noise barrier designs. Noise monitoring are undertaken before highway development (baseline), post construction pre‐opening, and during highway operations for compliance assessment. We also provide services for mitigation of traffic noise intrusion into buildings affected by new and existing highways. High rise and high end developments are of particular concern. The services include design and optimisation of glazing selections based on 3D noise modeling with noise levels determined for the entire building facades. Railways (Mass Rail Transit and LRT) shall form the backbone of public transport in the Klang Valley. Urban transit railways are inevitably built amongst densely built up populated areas. Airborne noise and ground‐borne vibration and noise are major environmental concerns in such development. The Institute undertakes noise study and design for noise & vibration mitigation measures for railways. Our work are based on noise modeling which includes considerations of existing noise sources. Our involvement covers the planning stages, environmental impact assessment, line wide scheme design and detailed design. We also provide assistance during construction including supervision and testing & commissioning. We also undertake detailed design of track form isolation and building isolation for ground‐borne vibrations and noise affecting buildings built adjacent and above railway lines. We provide services in measurements, analysis, severity assessment and design of sound insulation for aircraft noise intrusion for development and buildings (hotels, convention centres, etc.) built near airports and below flight paths. 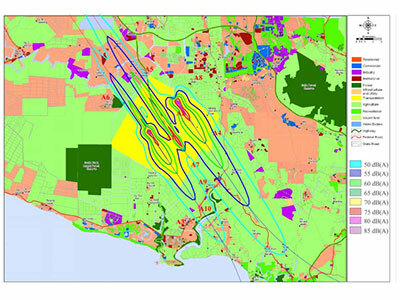 We also undertake airport noise modeling and assessment in airport master plan and Environmental Impact Assessment. Our airport noise modeling are undertaken using industry’s standard FAA noise modeling software (INM) that considers air traffic volume and aircrafts types, air tracks and airport operations (wind directions) and other governing parameters. Noise contours (Leq) over the KLIA Sepang with new Runway 3 for KLIA2 LCCT project. The Institute undertakes detailed design of noise barriers and enclosures for mitigation of noise from highways, railways and industrial facilities. Design are based on 3D noise modeling with representation of buildings and large objects in the site of interest. The noise models are validated against measurements such that the existing environment are adequately represented that would include all existing noise sources. We recommend barrier types to match the project technical and budget requirements, develop detailed engineering drawings, and assist in the tender and construction works supervision, and testing upon completion. Our clients are typically highway concessionaires, railways scheme designers and operators, industry plants owners and contractors (in design and build projects). Construction noise and vibration is often deemed the most annoying noise and vibration affecting the community as this noise is imposed onto the existing environment. We undertake noise and vibration modeling, assessment and design of mitigation measures for construction and demolition works. Our recommendations include selections and effectiveness of temporary noise barriers, review of construction work process, staging of demolition works, effects of multiple and simultaneous piling, use of semi‐enclosures and barriers for equipment. Noise analysis to assess MRT construction noise affecting houses showing requirements and effectiveness of temporary noise barrier. We undertake noise study required in all oil & gas projects, either during preliminary design (Front End Engineering Design) and detailed design development. We review and develop noise data sheets for vendors specifications and procurement compliance, establish noise maps, identify noise hazards and propose mitigation measures. Noise modeling are undertaken using world leading noise modeling software Cadyna-A. Our 3D noise modeling and assessment are aided by our extensive experience in noise measurements and investigations in petrochemical facilities that include refineries, petrochemical plants and offshore drilling and production platforms. This includes database of noise data of equipment and processes. We also have extensive experience in design of acoustics enclosures, lagging and sound attenuators. In recent years, we also have investigated and solve low frequency noise and noise induced vibration problems affecting Living Quarters in offshore platforms, the community for onshore installations. Our services for building acoustics covers all aspects of sound transmission—airborne and structure-borne noise and vibration We develop and recommend cost effective solutions for challenging applications. These include airports, studios, auditorium, convention halls, hotels , apartments, high quality buildings, technical spaces and laboratories. The solutions cover building envelope and facades (glazing, walls, roof, etc.) as well inter rooms and inter‐floor constructions. A particular problem in the region relates to rain impact noise on light weight roofs. Noise generated from roof during heavy rainfall often result in unacceptable noise intrusion, and metal roofs need to incorporate rainfall impact sound insulation. We are the pioneer in this region to develop testing with simulated rainfall under controlled conditions to optimise roof constructions. We also undertake projects for special applications such as studios, test labs and vibration sensitive spaces (wafer silicon plants, electron scanning microscopes, etc.) that require floating floors and rooms constructions. From left to right: Glazing at Danga Bay, Johor | Metal roof for KL Convention Center designed by UTM to render rain noise inaudible in Plenary Hall and Convention Halls. Interior acoustics design is necessary for the control of reverberation and echoes in performing spaces, and other functional where clarity of speech and music Is important. We develop acoustics solutions to meet acoustics functionality integrated within the interior design intent of the spaces. Very often innovative solutions need to be developed in instances where architectural form and ID intent challenges acoustics norm. Our design and recommendations are based on comprehensive analysis and electro‐acoustics modeling. We have provided interior acoustics designs for iconic projects and halls in the country. In addition to project specific measurements and monitoring, the Institute undertake Measurements, qualification and compliance testing in Acoustics, Noise & Vibration and Seismic Engineering. Acoustic testing are on‐site field tests for quality assurance and performance ratings. Test include on site installed FSTC / Rw’ airborne sound insulation, sound absorption, reverberation time, building services NC / NR levels, sound power level determination of equipment. We also develop test rigs and undertake the tests for specific performance test of automotive components. The Institute undertakes comprehensive noise and vibration monitoring for assessment of noise and vibration climate, from all types of noise sources (industrial plants, airports, high- ways, railways, commercial activities, discotheques, etc.) determination of baseline levels for design and EIAs, and to monitor construction noise and vibration as part of the Environmental Management Plan (EMP). We have the largest inventory of noise and vibration monitoring instrumentation in the country, including permanent outdoor noise monitoring units for long term permanent noise monitoring of airports and construction sites. We have also developed in collaboration with an OEM of smart permanent noise monitoring units with real-time 3G Web based monitoring for the Klang Valley MRT tunnels and Station construction sites. We also undertake the management and reporting of the permanent noise monitoring at these KVMRT (T) construction sites for compliance reporting to DOE. The Institute and its key personnel who are acknowledged as leading experts in the region in their respective disciplines undertake assignments as expert witness in arbitration and civil suits. We undertake measurements and analysis for defence, critical review and verification of evidence and other technical submissions, including laboratory analysis, and other back- ground research related to issues and subject matter of the claims. We have been involved as expert witness for damage claims for Defendants and Plaintiffs at the Kuala Lumpur Arbitration Centre, Malaysian Civil Courts and Land Hearing court. Industry problems often have underlying technical and design issues that are not readily solved as a consulting assignment. This offers an opportunity for such problems to be resolved as an industry driven contract research. This presents an opportunity for us to push the boundary of knowledge and offers the research sponsor double deduction tax incentive. The research project brief typically involves experimental work undertaken under controlled conditions in laboratory studies at UTM or set up on the actual installations at site. 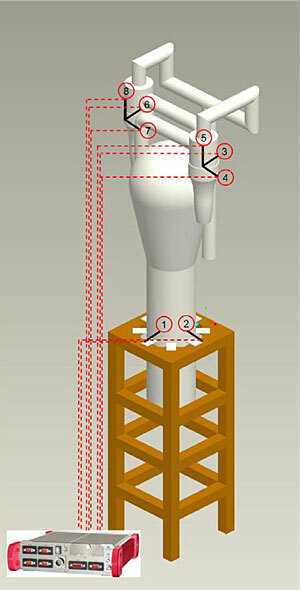 Field problems and failures are articulated into specific problem statements upon which suitable experimental test rig could be designed and built for laboratory studies. 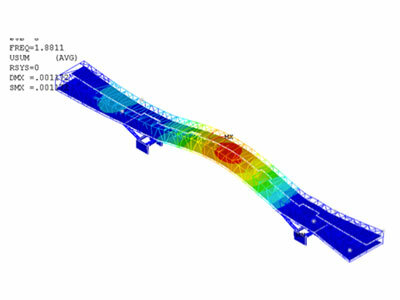 The work is usually supported by parametric studies using analytical and computational analysis.